You can see a map showing only coastlines, rivers, etc instead. The marker on the left indicates Königsberg (Kaliningrad). Its latitude and longitude are 54°43'N 20°31'E. Click THIS LINK for more information about Königsberg (Kaliningrad). 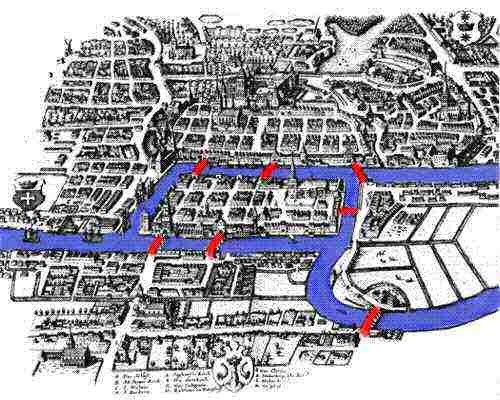 Click THIS LINK for more information about The Königsberg Bridges Problem.